Emerald gemstone (Panna Stone) is associated to “BUDHA”, the planet Mercury. Budh is the son of the Moon, which is the smallest planet in the solar system. In order to reduce the pain caused by the bad position of Mercury in the horoscope, Mercury affects the trade business directly, so it is advisable to wear Emerald to the businessman in the field of Astrology, Writing Skills, Editing, Publishing, Art, Postal Services and Insurance. It is advised that emerald gemstone should be worn only under the strict advice of an expert astrologer otherwise it can prove harmful. Mars rules over the Aries, which does not share the pleasing relationship with the Mercury of Emerald Gemstone. In Aries, Mercury rules over the 3rd and 6th house which is not a good combination. 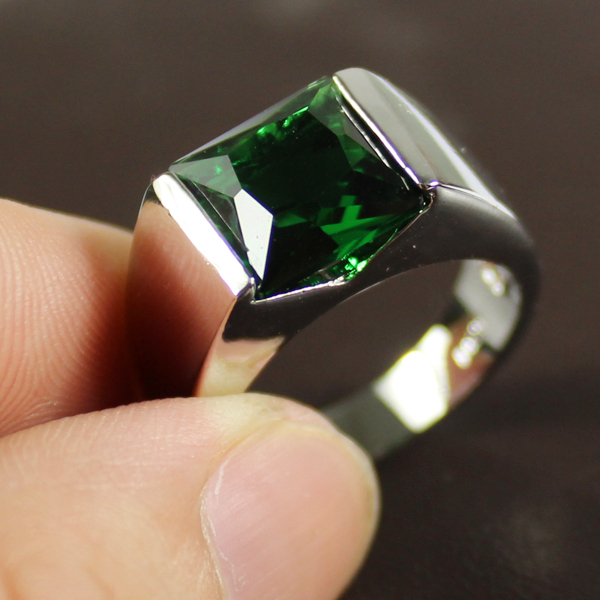 So Emerald should be worn only in the major periods of Mercury when Mercury gets placed over the 3rd and 6th house. Remove Emerald once the period of Mercury is over. Planet Venus of Taurus shares a good relationship with the Mercury of Emerald besides which it rules over the 2nd and 5th house. Taurus natives attain good results with the adoption of Emerald. The natives from the adoption of Emerald can ensure higher wealth inflow, better-earning opportunities, carrier growth and benefit from spirituality. Mercury rules over the Gemini ascendant. Mercury is a potent planet for this ascendant. Mercury rules the 1st and 4th house which makes the positive relation altogether. Emerald gives the beneficial effects to the Gemini natives. Wearing of Emerald gemstone will ensure better health and immunity. Moon rules over the Cancer. The Moon does not share a pleasant relationship with Mercury. It rules over the 3rd and 12th house of this ascendant, which altogether is not expected to give a pleasant relationship. The natives of this ascendant should wear Emerald on the major period of Mercury or when it is positioned in 3rd, 4th,7th, and 11th house. Sun rules over this ascendant and shares the positive relationship with the Mercury. Mercury rules over the 2nd and 11th house of this native. If natives of this ascendant wear Emerald, it will grant prosperity, family, increase wealth, power and happiness. The Mercury itself is the lord of this ascendant. It rules over the 1st and 10th house and shares the friendly relations. Individuals who have Mercury in their 1st, 2nd. 4th, 5th, 9th, 10th, and the 11th house should wear Emerald for a lifetime. Venus is the lord of Libra, which shares a friendly relationship with Mercury. Mercury rules over the 9th house of fate and fortune and 12th house of expenditure, life, etc. Individuals with the placement of Mercury in 12th house can wear Emerald after a trial of 3 days. Libra natives by wearing Emerald can get good benefits. The Lord of Scorpio is Mars which does not share a friendly relationship with the Mercury. Here Mercury rules over 8th and 12th house. So this doesn’t make a good combination. So it is advisable that these natives should wear Emerald in the major periods of Mercury. Jupiter rules over the Sagittarius, which shares the friendly relationship with the Mercury of Emerald. Saturn rules over the Capricorn, which shares a good relationship with the Mercury of Emerald. Mercury rules over the 6th and 9th house of these natives. Wearing Emerald gives maximum benefits to these natives. Aquarius is ruled by Saturn planet. Mercury becomes the lord of the 5th and 8th house of this ascendant. Mercury in the 1st, 4th, 5th, 9th house should wear Emerald for the lifetime. Jupiter rules over the Pisces, which shares friendly nature with the Mercury of Emerald. It rules over the 4th house which is the house of mother, pleasures, land, vehicles and 7th house of spouse, marriage, and relationships. If the mercury of these natives is placed in 4th,7th,10th, and 11th house, then the can wear Emerald when the major period or sub period is operating.